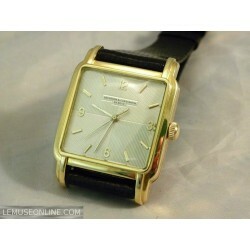 Vacheron Constantin is a Swiss manufacture of prestige watches and a brand of the Richemont group. Considered by the watches enthusiast as the best traditional watch maker in the world along with Patek Philippe & Co. and Audemars Piguet. It employs around 400 people worldwide, most of whom are based in the manufacturing plants in Geneva and Vallée de Joux. The brand is sold in almost 80 countries around the world, distributed through 15 boutiques that sell no other brand, and over 500 points of sale. 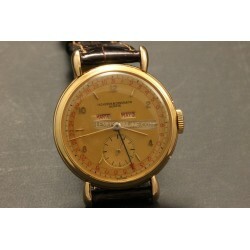 Previous Vacheron Constantin owners include Napoleon Bonaparte, Pope Pius XI, the Duke of Windsor and Harry Truman. 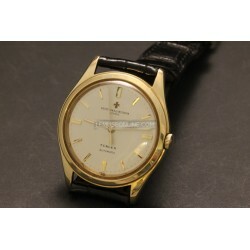 Vacheron Constantin was founded in Geneva, Switzerland in 1755 by Jean-Marc Vacheron. 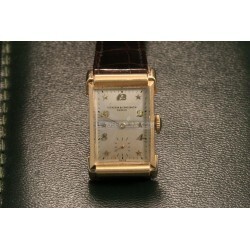 This makes it the oldest watch manufacturer in the world with an uninterrupted history. 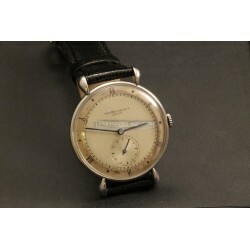 Besides being a young businessman, Vacheron was also a talented craftsman. In 1770 his company created the first complication, and nine years later he designed the first engine-turned dials The Richemont Group named Juan Carlos Torres as the Chief Executive Officer of the company in October 2005. Vacheron Constantin is considered to be company that was able to create one of the most complicated wristwatches in the world entitled "Tour de I'lle". 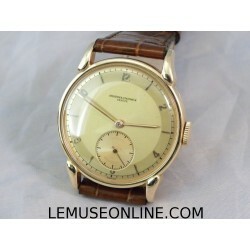 It was created in 2005 to mark the anniversary of 250 years of Vacheron Constantin. The watch includes 834 parts and 16 horological complications. It was only available through the Vacheron Constantin shop in Geneva, Switzerland and sold for more than $1 million.NB WE REMIND YOU THAT A LOT OF OUR WATCHES ARE SOLD BY US FOR OUR CUSTOMERS...THIS MEANS THAT IF YOU WANT TO COME IN OUR SHOP TO SEE ONE OF THEM YOU HAVE TO CONTACT US TWO OR THREE DAYS BEFORE IN ORDER TO LET US TO HAVE THE TIME TO BRING THERE THE WATCH! 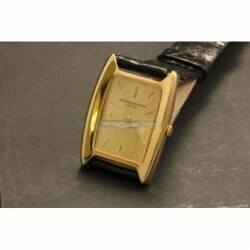 Vacheron Constantin There are 16 products. Steel case ( diameter 36mm ) Hand winding movement caliber 453 Black leather strap Beautiful original two tones dial Rare particular horns Plexi glass Made in the '40s Rare model Very nice conditions! 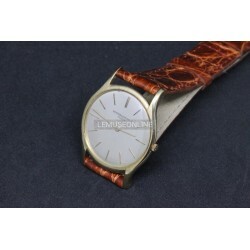 18kt rose gold case ( diameter 33mm ) Manual winding movement caliber 463 Brown crocodile strap Wonderful two tones dial with arabian numbers! Small seconds Plexi glass Particoular and rare horns' shape! Serial number 170xxx Made in the '50s Wonderful conditions! 18kt Yellow gold case ( size 31mmX31mm ) Automatic hummer movement caliber 477/1 Wonderful and rare argentee dial with a particoular style! Black lizard strap Plexi glass Made in the '40s/'50s Very rare model! Its movement is wonderful and rare! Very nice conditions! 18kt yellow gold case ( diameter 35,5mm ) Hand winding movement caliber P433/3C Black crocodile strap Champagne dial with arabian numbers With small seconds Plexi glass Very rare model with particoulars crab lugs! Made in the '50s Wonderful conditions! 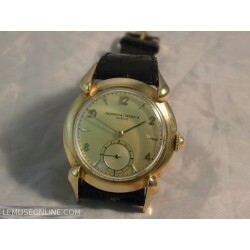 18kt yellow gold case ( diameter 35mm ) Hand winding movement caliber 492 Black crocodile strap Wonderful original dial with patina With chronograph Plexi glass Made in the '50s Rare model With its rare original box Wondeful conditions! 14kt yellow gold case ( size 20mmX35mm ) Hand winding movement caliber 435/3C Brown crocodile strap Wonderful and rare original dial with Breguet numbers and stars With small seconds Plexi glass Particular horns shape Rare model Made in the '40s Very nice conditions! 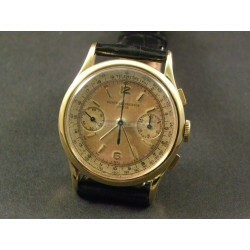 18kt yellow gold case ( diameter 36mm ) Wonderful automatic movement caliber K 1072/1 Brown crocodile strap with an original gold buckle Argentee dial With date Plexi glass Reference 7375 Rare model that have inside a movement which in that period was the best Vacheron one Made in the '60s Very nice conditions! 18kt yellow gold case ( diameter 36mm ) Hand winding movement caliber 485 Brown crocodile strap Wonderful original dial With triple date calendar ( date, day and month ) Plexi glass Made in the '50s Rare model Wonderful conditions! -18kt yellow gold case ( diameter 36mm ) -Automatic movement caliber 1019 -Black crocodile strap -Original buckle -Rare original dial customized for 'Turler'! -Plexi glass -Reference 4870 -Made in the '60s -Very nice conditions! 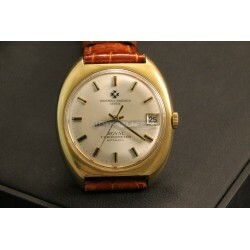 -18kt yellow gold/steel case ( size 31mmX38mm ) -Steel/gold original bracelet -Automatic movement caliber 1124/1 -With date -Extremely rare original dial with the Saudi Arabia royal family emblem! 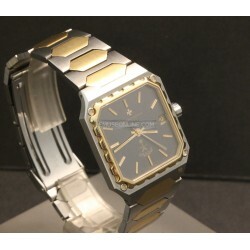 -Sapphire glass -Reference 46004 -Made in the '80s -Very rare model -Wonderful conditions!